It's a pleasure to join NAQCC and to send you some details about myself. Was born in 1934, SWL since 1945, learnt CW on my own in 1946-47. 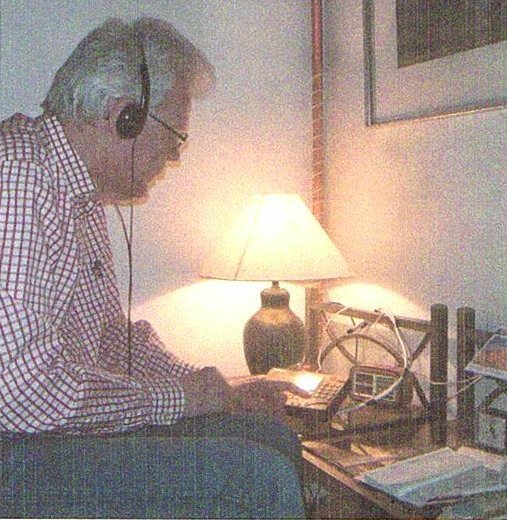 Registered as SM4-1252 by SSA in June 1947, back again in ham radio listening in 2007 with listener callsign SM5-1252. My receivers are NRD 535D and SONY ICF 7600G. All my ham radio listening is on CW and I prefer QRP with the small $ 120 class SONY for comfortable bedside listening, with an indoor antenna, 60 m of enamelled wire closely wound on a curtain pole in the bedroom. It is my own variety of the "Broomstick special". On 7 MHz the QRP rig has given me loggings of KL, XE, TI9, CE, ZP, ZS, 3B7, 9V1, JA, VK6, ZL, VP6DX and many others only during 2007-2008. I find it real sports to hear such DX with this simple equipment. Heard during the same period 168 DXCC entities, confirmed 156. This is all. My mottos: CW for ever! and Amateur Radio For International Friendship.